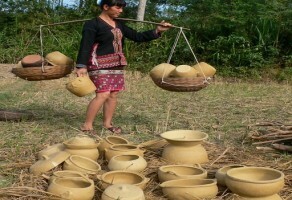 The Li minority in southern China’s Hainan province has kept alive their pottery tradition originating from the Neolithic Age 6,000 years ago. The technique is a living fossil of human civilization. This film displays ancient pottery making skills through the unfolding life stories of Yang Bailiang, an 85-year-old potter and the inheritor of intangible cultural heritage in China. Many human activities, though apparently losta long time ago, survive through the efforts and determination of people, often in remote cultures.., This inheritance is vulnerable.. The record of the technique presented in the film, reveals that the age-old pottery technique has been gradually lost during its interaction with industrial civilization. Lishan Ma, visual director of the film will host a Q&A session after the screening. Examples of Yang Bailiang’s pottery will be available at the conference. 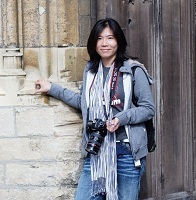 Ma gained her MA degree in Visual Communication and Filmmaking from Birmingham City University. 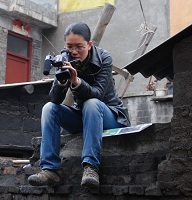 Ma is currently working as a senior TV editor and project supervisor in China.